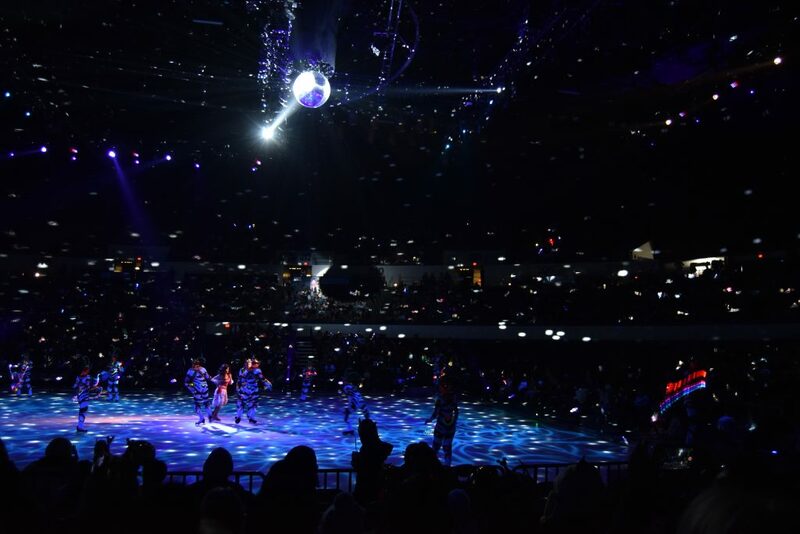 Disney On Ice: Dare To Dream is performing at the Long Beach Arena this January 3 through January 6, 2019. Disney fanatics will be able to see Belle, Rapunzel, Cinderella, Frozen characters, and Moana! 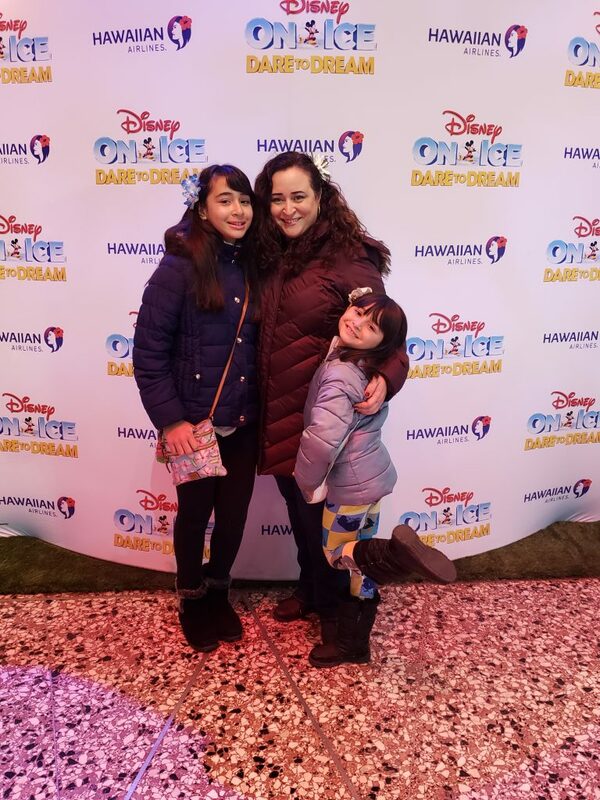 Read on for our experience at Disney On Ice. 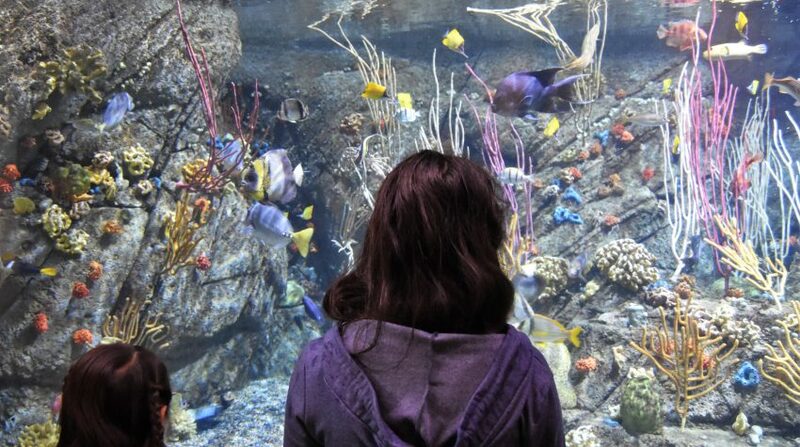 Be sure to take a look at our tips for a great experience at the end of this post! My family received tickets to this event in exchange for a written review of our experience. All opinions expressed here are my own. This post contains affiliate links, refer to site policies for more information. 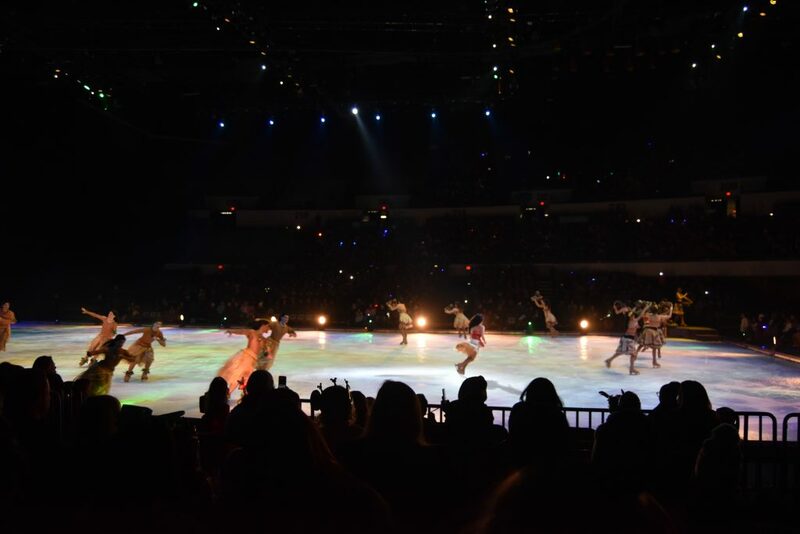 My family headed out to the Long Beach Arena last night to experience Disney On Ice: Dare To Dream. 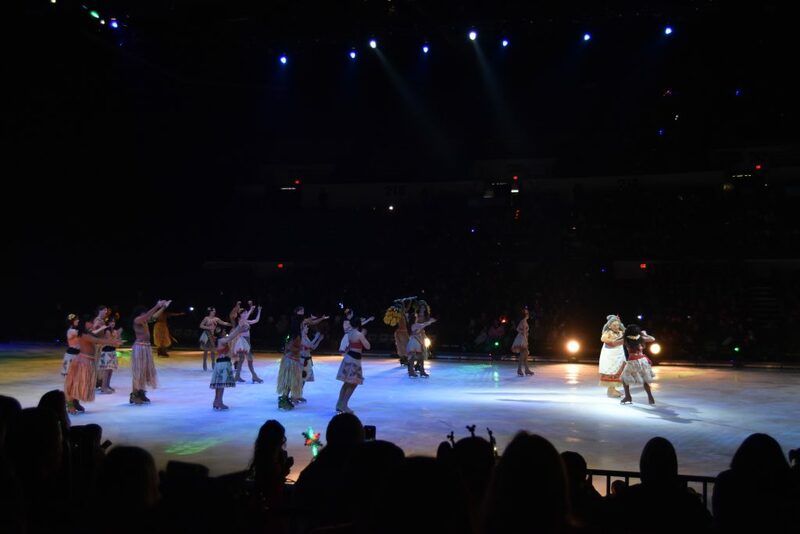 Although many Disney princesses were there, we were most excited to see Moana’s first performance in a Disney On Ice show. Can you tell? You will want to arrive early! Doors open about an hour before the show starts. Note: This post contains affiliate links. Refer to site policies for more information. 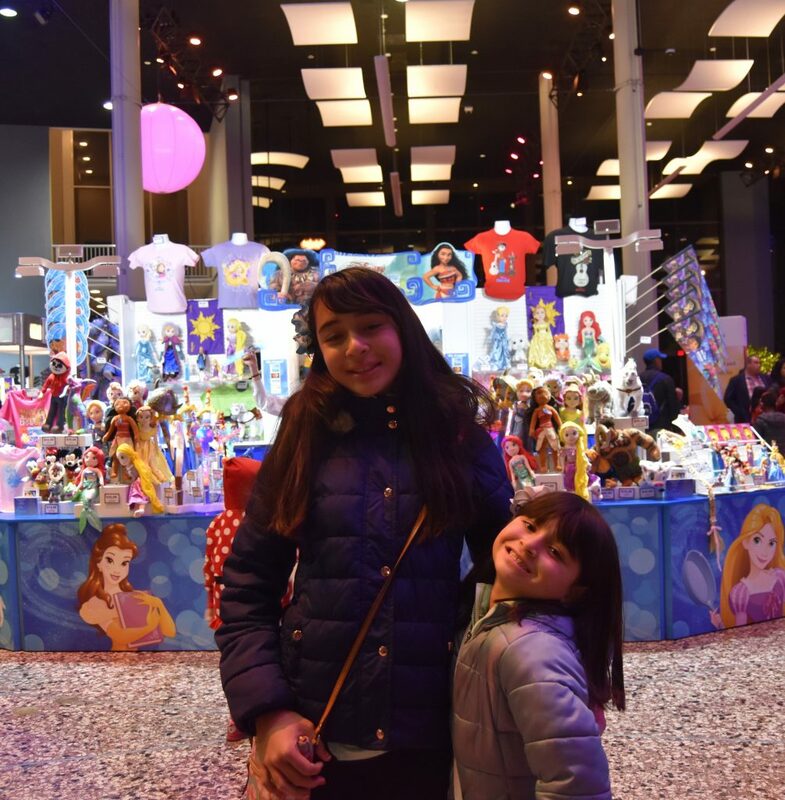 We took a tour around the lobby and found that there is the opportunity to buy Disney merchandise, grab a drink, or some food if you would like. The Coco segment did not start until right before the show, so you are unlikely to miss it if you are running later than you expected. 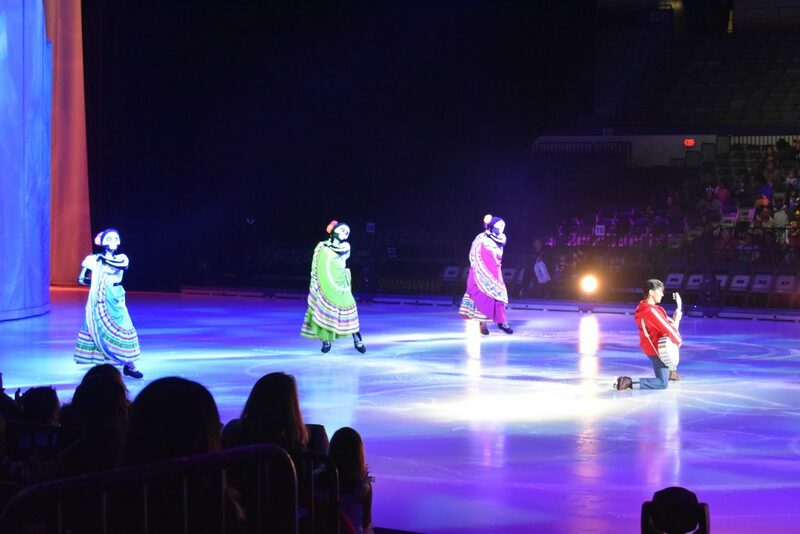 We loved the colorful skirts and dancing/skating. It’s pretty amazing the movements these guys can do on skates! There is a show host that does a great job of interacting with kids in the audience. She gets the kids all riled up about seeing the upcoming acts. We were expecting to see Belle, Cinderella, Rapunzel, Elsa and Anna, and Moana. I particularly liked that she was giving kids the message that outer appearance is not the most important thing about a person. Can you guess who the first act was? 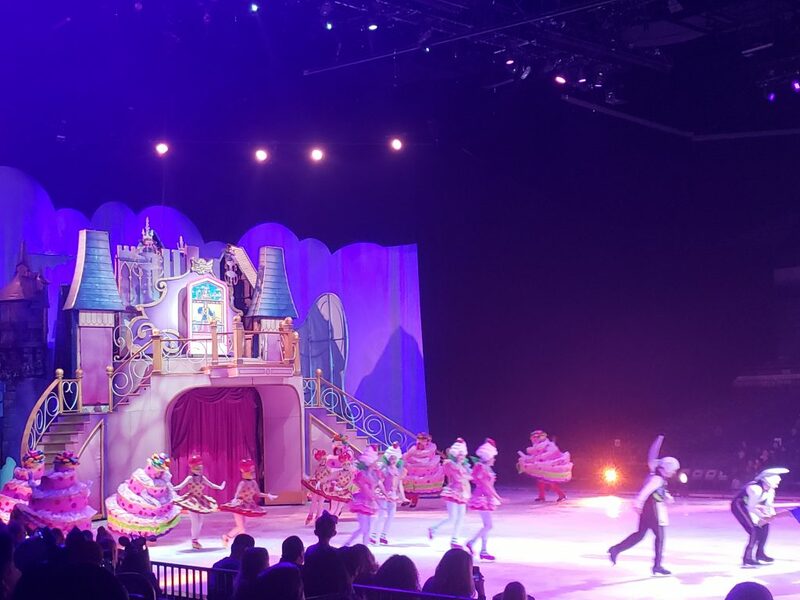 Disney On Ice: Dare To Dream takes snippets of the most memorable parts of a movie and recreates them during the show…while ice skating. 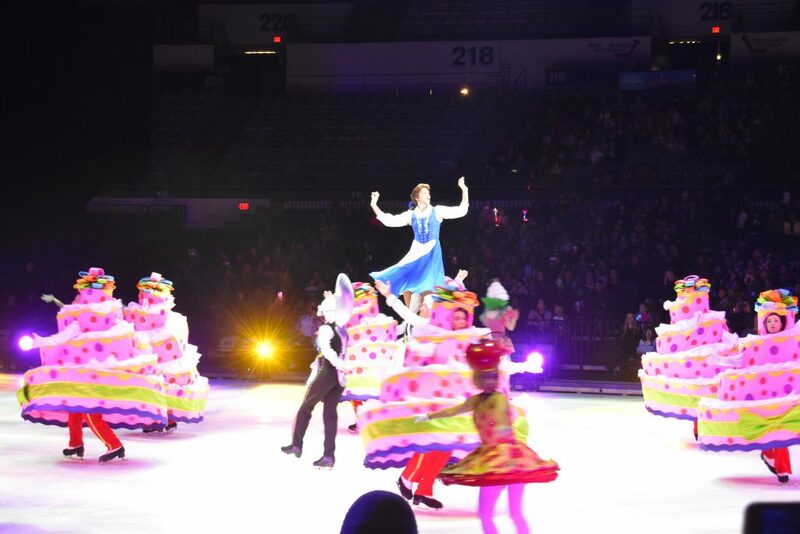 My absolutely favorite part of Belle’s portion of the show? The “Be Our Guest” musical scene! I quite honestly did not expect to see such an awesome visual display of the dinner and the dishes. I told my daughter’s that I really want the cherry pie costume. They laughed and (rightfully so) believed me. 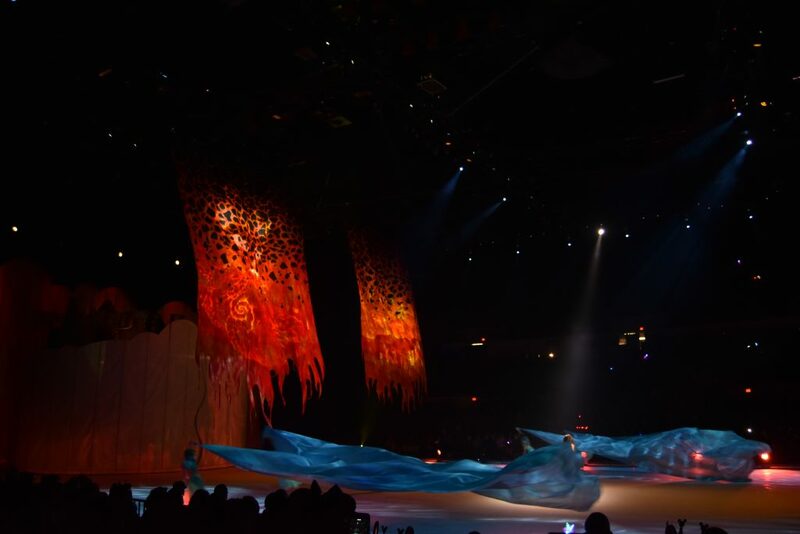 The Rapunzel scenery was my second favorite part of the Rapunzel segment of the show. 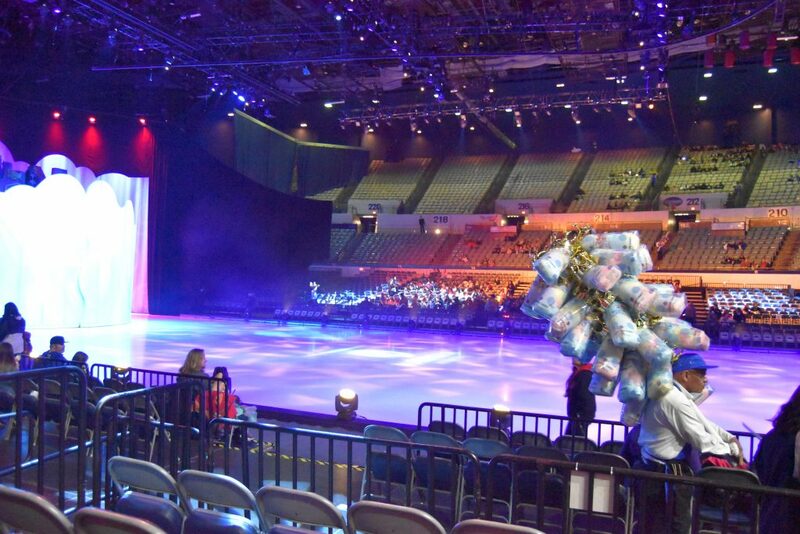 Disney On Ice never ceases to amaze me with its prop production. They always manage to transport you into scenes of the movie. I loved the re-creation of Rapunzel’s tower. 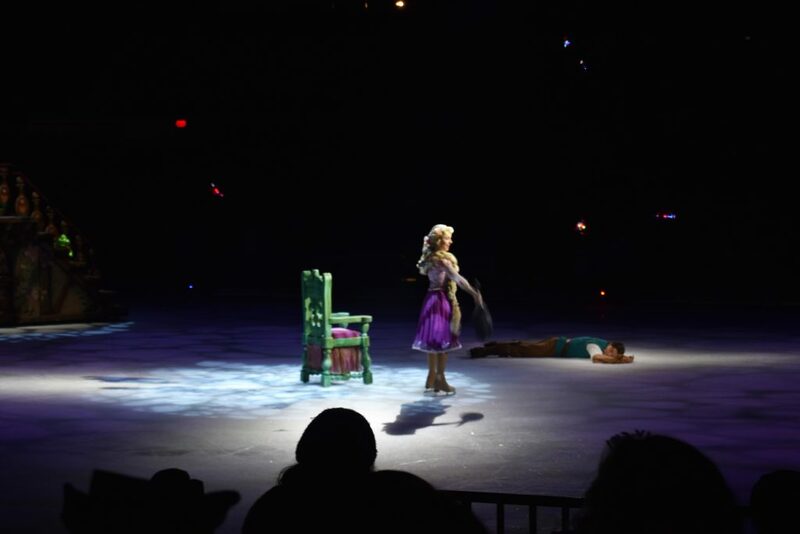 What was my FAVORITE part of the Rapunzel segment? MAXIMUS!!! 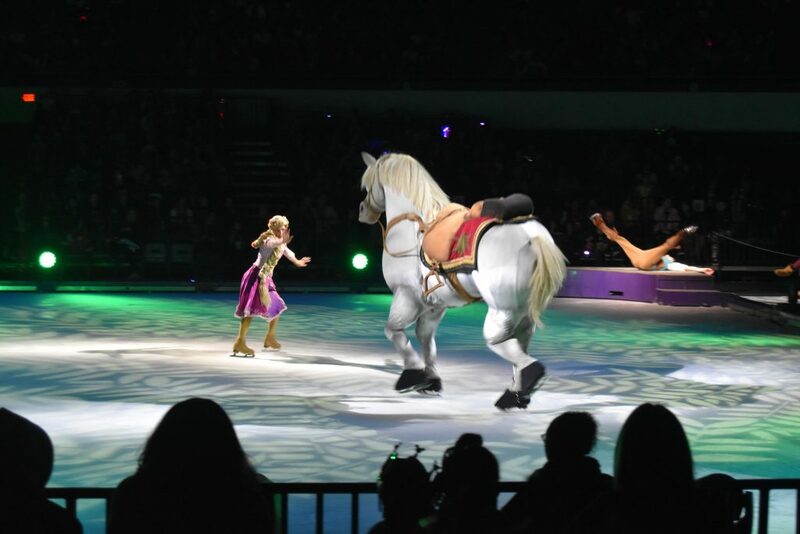 How in the world do two people skate in tandem in a horse costume?! Honestly, they weren’t even skating in tandem. They were doing all sorts of cool footwork to make Maximus very animated and an interesting character. Does this really need any introduction? 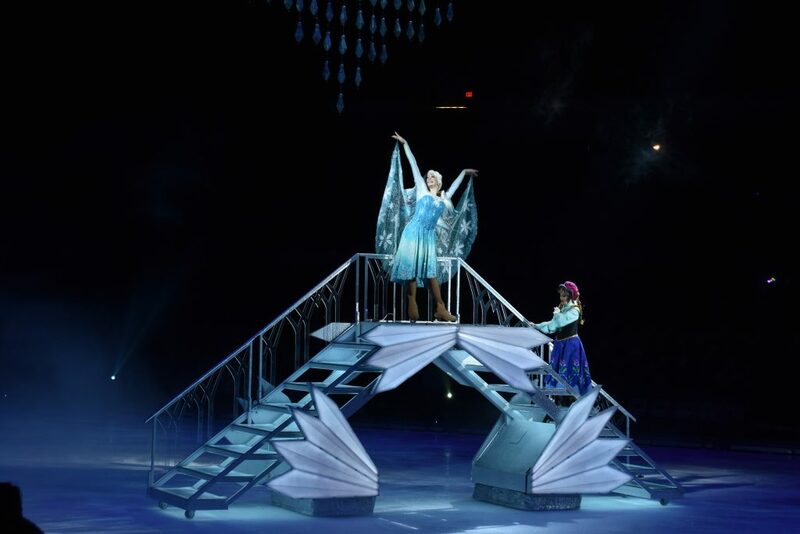 The entire arena was belting out “Let It Go” as Elsa danced around and transformed herself into an Ice Queen. Yes, I did too. I am an Olaf fan at heart. I mean, isn’t everybody? 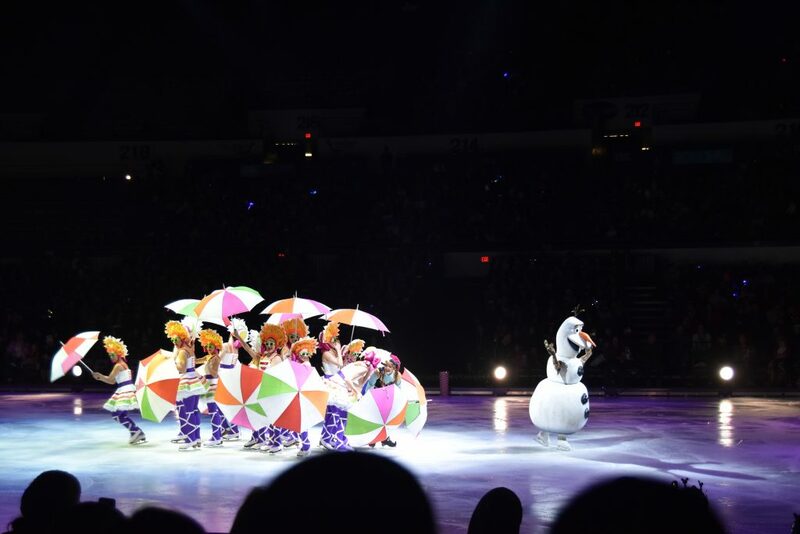 So of course, I feel that the Olaf scene is quite magical. 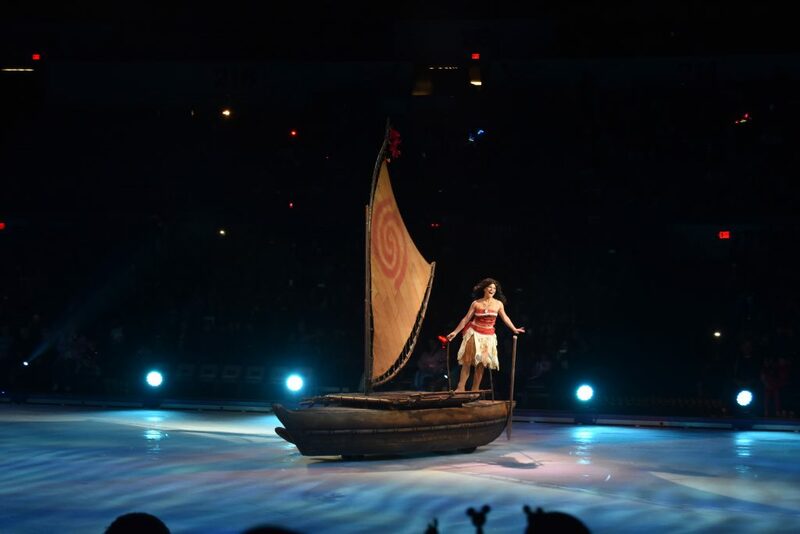 I’m going to be honest here…I jumped at the chance to watch Disney On Ice: Dare To Dream because Moana was making her first appearance. 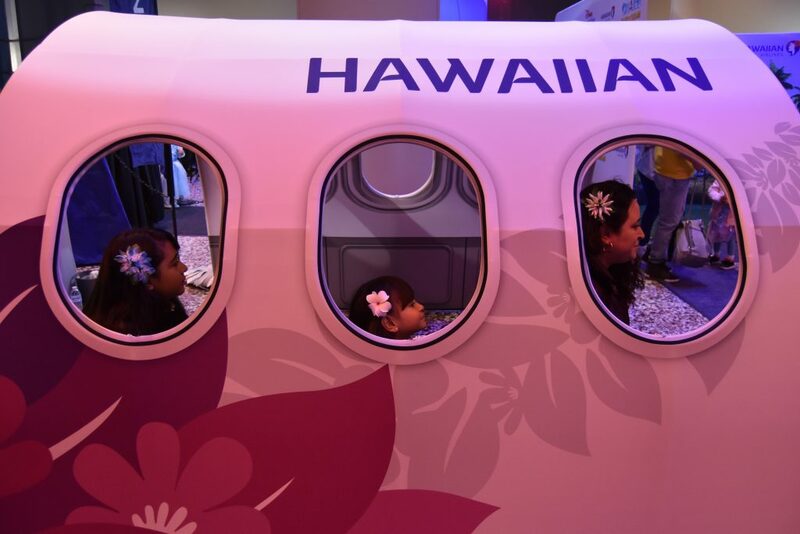 We love all things Hawaii, Hula, beach, etc. 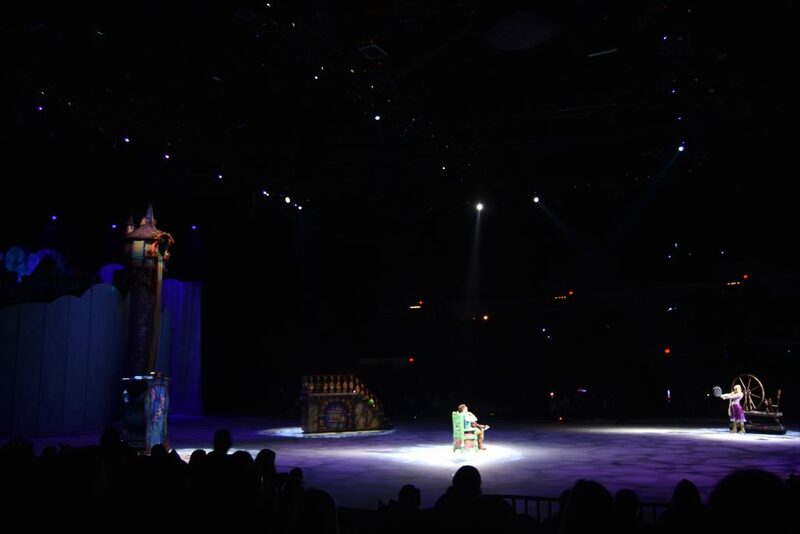 So, to be honest, Disney On Ice would have had to do a pretty terrible job for us to dislike this part. The girls and I loved the costumes. 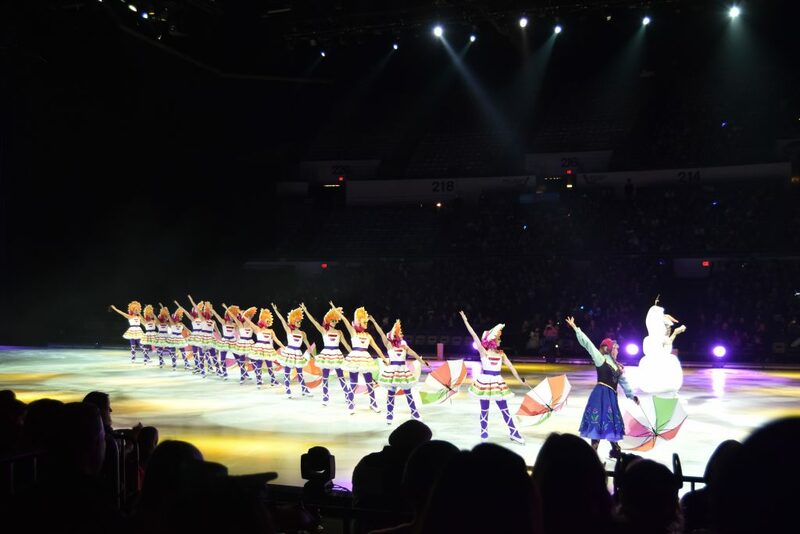 People came out with grass skirts and did some pretty impressive skate dancing. Was it hula? No…and yes, my girls and I are experts and would know 😉 However, it looked pretty darn good in our opinion! I know I can’t hula dance while ice skating! Maui shows up and does not disappoint. He takes to the ocean with Moana. 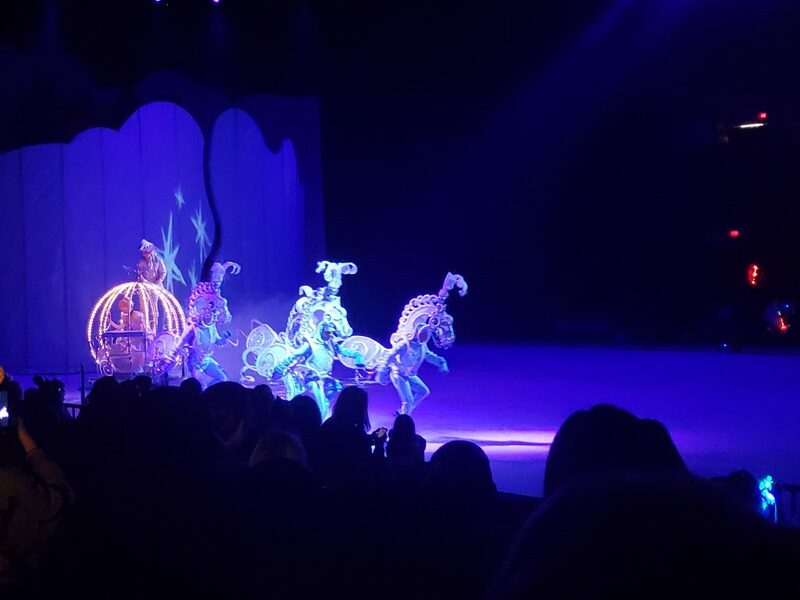 Again, I love how Disney On Ice manages to give us the essence of the ocean even though the production is performed on an ice-skating rink! So, the million-dollar question…Did the crab make it into the production? YES!!!!!! AND IT WAS AWESOME!!! 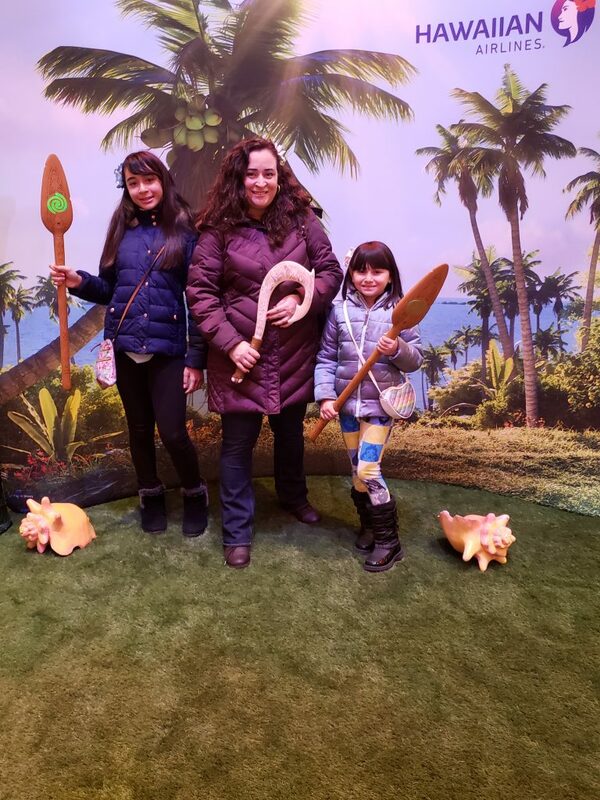 My girls just about lost it- and only my girls…because I’m an adult. The costume itself was amazing. But even more spectacular? 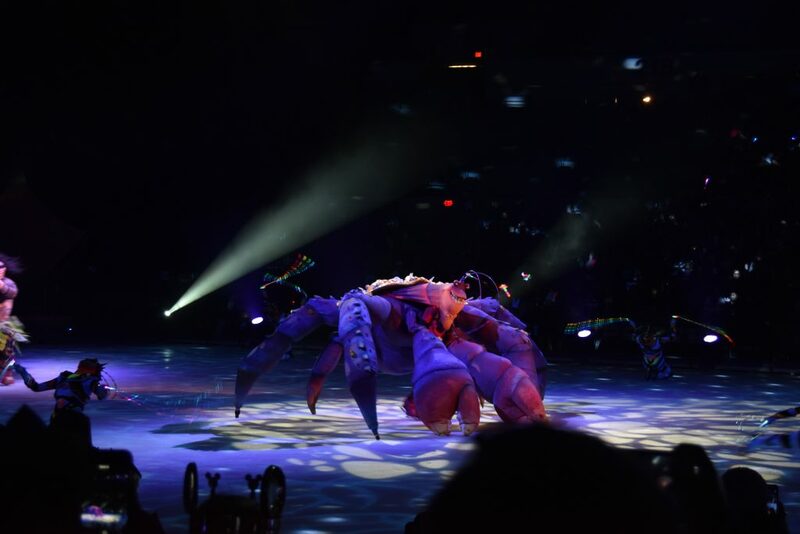 When the crab starts belting out “So Shiny!” and moving around the ice. My family had an amazing time at this show. We really enjoyed the joyful atmosphere, music, and performances. 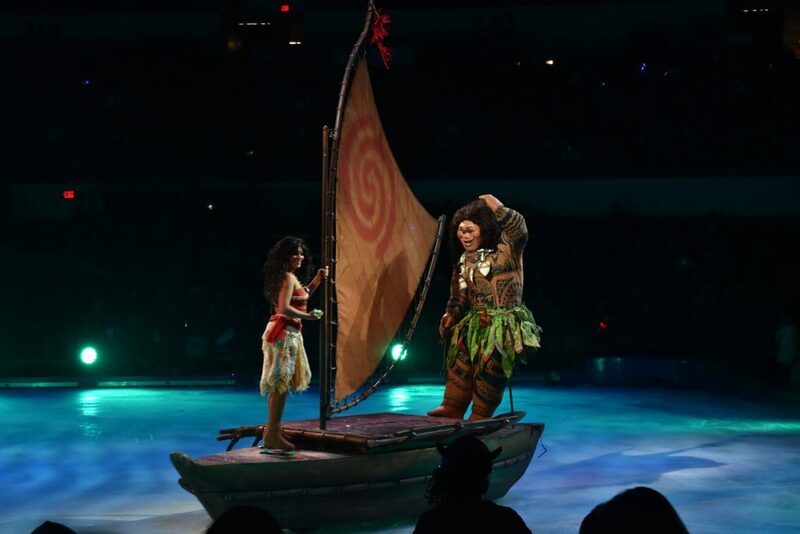 Disney Princesses are awesome, but Moana definitely puts this show over the top. Bring cash! You will need it for parking and vendors in the arena. Parking costs $15. Vendors selling candy and trinkets inside the arena also take only cash. Just an FYI: This cotton candy with a hat cost $15. We were caught off guard by road work and resulting detours on the Vincent Thomas Bridge. There is quite a line of cars to get into the parking structure. 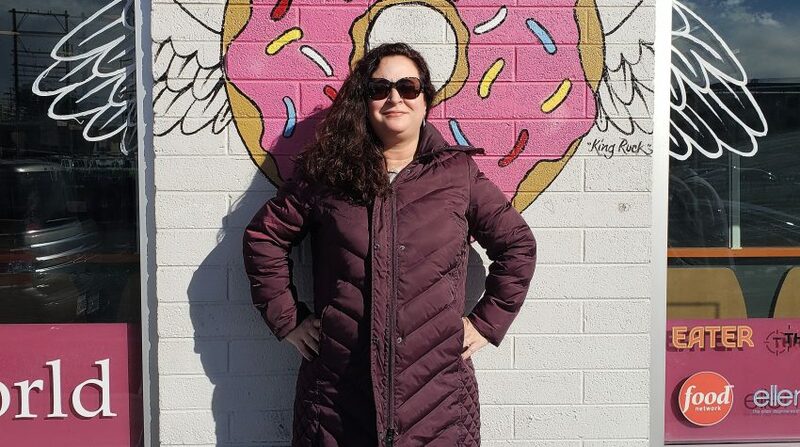 Take advantage of photo opportunities (both paid and free are available), and check out items for sale. Nothing to see here people. Move along! You want to catch the Coco pre-show! Park on the top level of the parking structure if you can! We separated from the crowd and parked here. We avoided the traffic jam getting out of the structure because there was an exit on top that allowed us to bypass all of the cars. Dress warm! 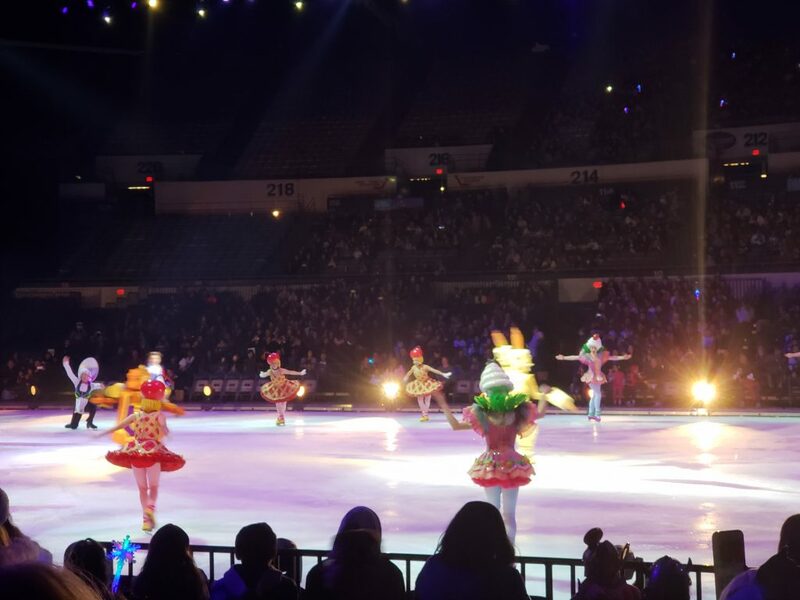 The performance is entirely on ice so…yeah, it’s cold! Be prepared for your kids to want all of the things! 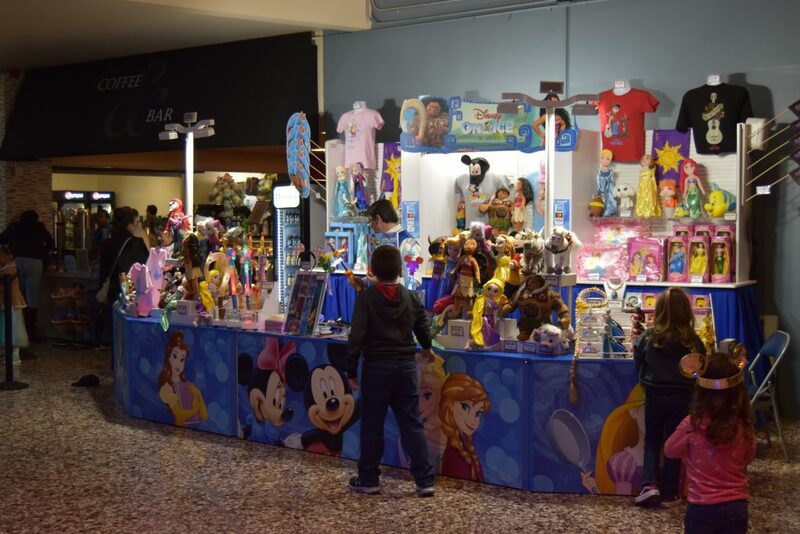 There are Disney-themed products, light up toys, snow cones and cotton candy. Basically, a smaller version of what you experience at Disneyland. Be sure to use the code MOM20 for 20% off of tickets! You can buy tickets HERE. Find more show information HERE. 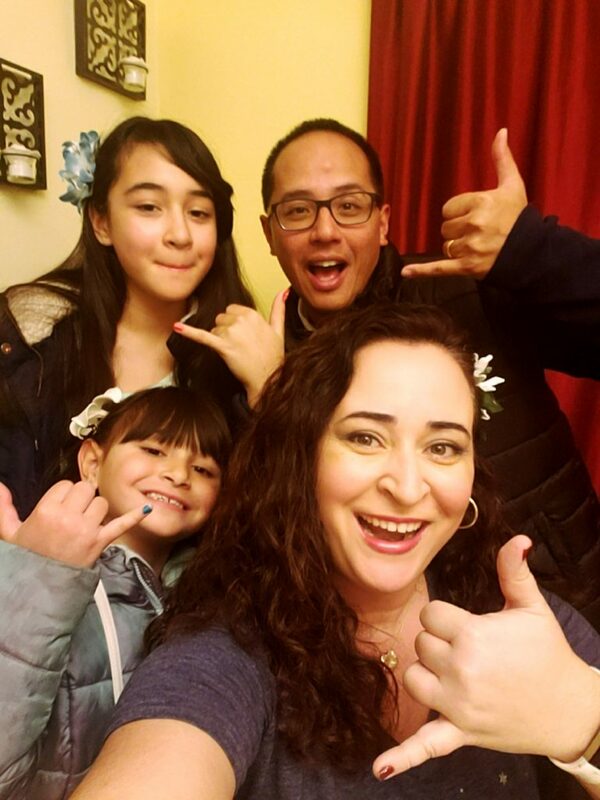 LOOKING FOR MORE THINGS TO DO WITH THE FAMILY?